Occasionally my head would jerk up from my chest and a fact would force its way in. One of those that got through is a concept known as Ockham’s Razor. Postulated by a 14th-century Franciscan friar named William of Ockham, it states that entities should not be multiplied beyond necessity. In other words, of two equivalent theories — all other things being equal — the simpler one is to be preferred. This is also sometimes expressed as KISS: Keep It Simple, Stupid. 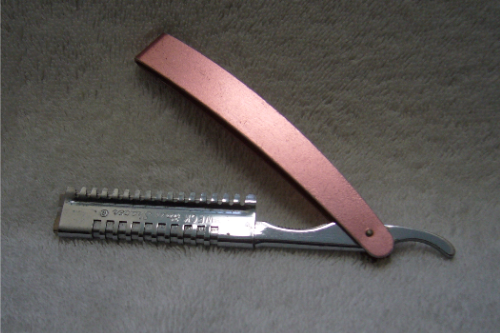 Ockham’s razor trims away, in effect, that which is unnecessary. 1) The grand piano will plummet to the ground due to gravity. 2) The grand piano will plummet to the ground due to gravity. Gravity is a force controlled by alien beings from the planet Quondor, who are the sworn enemies of grand pianos. A couple of years after that early-morning struggle through Big Ideas, I took another philosophy class. This time it was Aesthetics. (And this time it was in the afternoon.) The professor, Dr. Harwood, was brilliant; he led us through some deep water, so to speak. We delved into Aristotle’s views on symmetry and harmony. We explored Immanuel Kant’s insistence on the a priori. We learned how to pronounce Schopenhauer. Can’t state it much more simply than that.